Hi I'm helping my brother in law to try and sort his central heating. He has a back boiler behind his fire which you can hear fire up when the heating is called for - but no rads heat up. I've tried bleeding the system which I then noticed a couple of issues - bleed valve broken on one rad and one rad only bled in drops despite being open for ages. 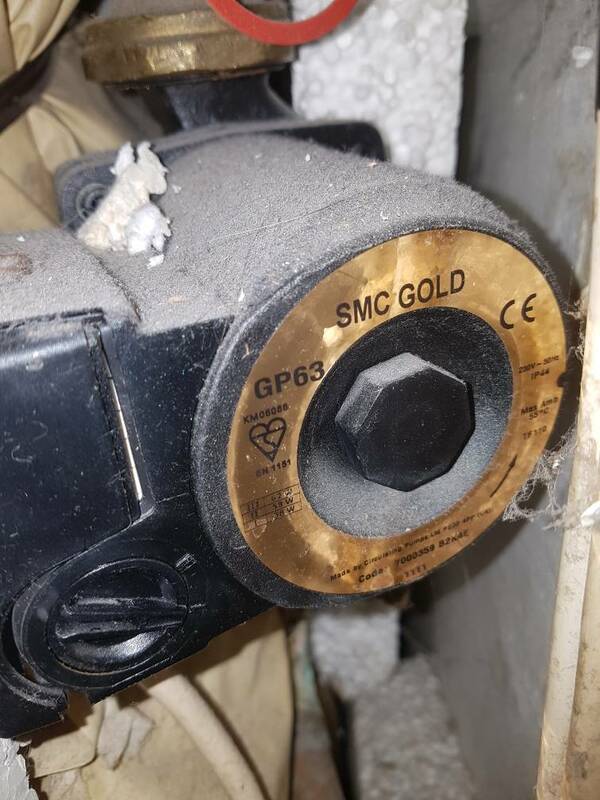 I've also seen a pump in the airing cupboard smc gold gp63 I've listened to it to when the heating is called for and it makes no noise at all. I've even put a screwdriver to it to and to my ear but not even a small vibration. He also has said it stopped heating his water a while ago. Which I think points to the pump or possibly a faulty actuator or mpv. In his loft he has a head tank-overflow full of murky brown hot water. try turning the pump up to the highest setting, any change ? Tried it wine o. Not a peep from the pump on any setting despite heating being called for. I'm assuming the pump is dead. You need to check if there is actually 240v at the pump. If so you could put a towel under the pump, undo the center screw (water will run out) and try turning manually, possibly with a flat bladed screwdriver. If all above fails, new pump time. Great idea. I'll give that a go. 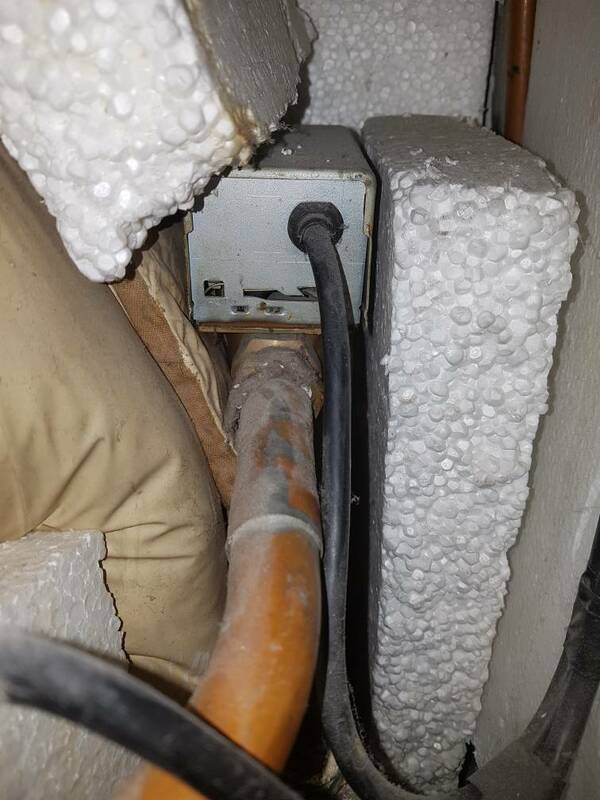 I did think it may have tripped a fuse but could see anything.